Are you looking for a luxury crossover that combines performance, style and affordability? Look no further than the 2018 Jaguar F-PACE. After an exciting debut last year, the Jaguar F-PACE is in its second year of production and is better than ever. With an expanded engine lineup and a wealth of innovative features added to the spec sheet, the 2018 Jaguar F-PACE is more attractive than ever. Learn more about the updates to the Jaguar F-PACE design with this 2018 Jaguar F-PACE vs 2017 Jaguar F-PACE review. What are you looking for from a luxury crossover? Available in six fully-loaded trim levels – F-PACE, Premium, Prestige, R-Sport, Portfolio and S – the Jaguar F-PACE will deliver on all counts. Luxurious LuxTec simulated leather interior and dual-zone automatic climate control set the bar high in terms of comfort and are complemented by keyless entry and ignition, a panoramic sunroof and much more. 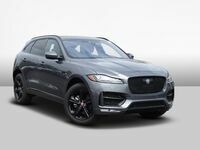 Technology is an asset of the Jaguar F-PACE with an eight-inch InControl Touch infotainment display, Bluetooth connectivity and an 11-speaker 380-watt Meridian sound system. What Are the Differences Between the 2018 Jaguar F-PACE and the 2017 Jaguar F-PACE? 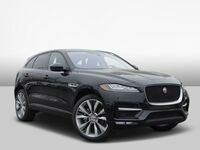 Many of the differences that you will discover when you explore this 2018 Jaguar F-PACE vs 2017 Jaguar F-PACE comparison revolve around price and performance. With a base Manufacturer's Suggested Retail Price that starts at $42,065, the revamped 2018 Jaguar F-PACE illustrates a slight price increase over its predecessor. This change is reflected by the debut and arrival of an all-new engine. 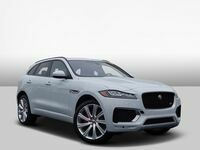 When the 2018 Jaguar F-PACE arrives at dealerships it will provide performance enthusiasts with three engine options – the previous iteration only had two. Base Jaguar F-PACE models can now be equipped with an all-new Ingenium 2.0-liter turbocharged four-cylinder power core. Married to an eight-speed automatic transmission, the Ingenium 2.0-liter turbo will shell out 247 horsepower and still achieve exemplary fuel-economy ratings with standard Intelligent All-Wheel Drive. Armed with the new turbocharged powertrain, the Jaguar F-PACE will sprint from zero to 60 mph in just 6.4 seconds. An upgrade to the Jaguar F-PACE Premium trim level provides drivers with a smorgasbord of engine options to choose from that include the all-new turbo. Drivers focused on fuel economy can adopt the 180-horsepower 2.0-liter turbodiesel four-cylinder engine, which will achieve 26 mpg in the city and 33 mpg on the highway. 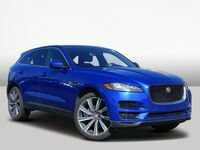 Those who crave more power can opt for the 340-horsepower 3.0-liter supercharged V-6 engine, which receives a power upgrade to 380 horsepower when you select the Jaguar F-PACE S trim. Additional highlights of the Jaguar F-PACE design that remain include a spacious, well-equipped and family-friendly interior that provides 33.5 cubic feet of practical cargo space. Another highlight of the 2018 Jaguar F-PACE is safety. Advanced driver assistance features will make the Jaguar F-PACE safer than ever with Lane Keep Assist, Traffic Sign Recognition, Blind Spot Monitor with Closing Vehicle Sensing and Adaptive Cruise Control technology. Get behind the wheel of the 2018 Jaguar F-PACE today when you visit Barrett Jaguar!